In conjunction with the POET Tree Arbor Day festivities, POET held a poetry contest asking 4th graders in plant communities to express their views on nature in poetry. The contest drew in hundreds of poems! This year, the contest started off with South Dakota Road Trip (SDRT), an educational program that took place in schools across the state and taught students not only about SD history, but about renewable energy and taking care of the environment as well. Five contest winners were chosen from this program, received a Visa gift card and moved on to the national level. Then the five chosen winners from SDRT went up against entries from the biorefinery communities. Only the top winner from each biorefinery was selected to participate in the national contest. 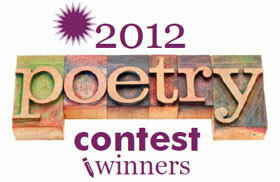 Five national winners were selected from the SDRT and biorefinery poems. The national winners received a Visa gift card as well as the opportunity to be a published poet. Congratulations to all of the 2012 contest winners, and thank you to everyone who participated! New life has come to play. And chased the snow away! Their wings so full of charm! Stretched their legs out and grew. And landing in places anew. Of birds in nearby nests. All who hear them are so blessed! Each one in its time and its place. Spring is a wonder! How can it be? So amazing and so full of grace?!? How you’re full of things to eat. I love that you are all mine. Add sun and water, then your sees will grow. You give me strength and energy for my feet. I’m so happy you are all mine. stop those who want to harm. The beautiful sight around them. And protect our beautiful, wonderful nature. on many things we destroy. that we think we just have to have. but some take it for granted. without all of the things nature gives? Nature is the key to life. Will that ever go away? Time for people to see the case. Will recycling ever take place? Trees come in many shapes, colors, and sizes. Fresh air they give are very great prizes. New flowers and trees begin to grow. To get ready for summer heat on the leaves. Trees all around are standing tall. Snowflakes and icicles are all around. We need them for all different reasons. They provide us shelter, food, warmth, and air. Without trees, we would be in despair. The tornado is now done!